Superstein & Superstein, PA takes great pride in our dedicated CPA staff compiled of experienced managers, supervisors, seniors, and staff professionals. Our team’s attention to detail and complete understanding of all financial affairs is credited by their distinguished education at recognized colleges with uncompromising reputations, continuing education specialties and quantifiable business accomplishments in accounting. Out of the box thinking for creative well supported solutions to business fact patterns that require refinement. Simplicity in approach and execution for the best possible results. Consulting by senior partners that can make an immediate impact on the profitability and growth of the company. We ensure high quality staff through qualitative and quantitative assessments and that they meet the mission and standards of Superstein & Superstein, PA a well rounded staff with some positive attitude and athletics are encouraged for efficiency and focus in the workplace. All of our Superstein & Superstein, PA firm members meticulously uphold the principles acquired by the American Institute of Certified Public Accountants and Florida Institute of Certified Public Accountants. We honor and abide by not just official CPA principles, but also by the fundamental principles and rights of our clients. Superstein & Superstein, PA is an AICPA Peer Reviewed Firm, a prestigious and high designation that we are proud of. In addition to providing clients with exceptional service, Superstein & Superstein, PA supports various charities in the local community, including assisting non-profit organizations who give shoes to children, assisting the homeless shelter and providing scholarships for education. Drew Superstein, CPA, MAcc is a Board Member of the Greater Hollywood YMCA where he shares his time and talent to improve the organization and strengthen the foundation of communities across South Florida. We believe in giving back to the community that we have been a part of for almost 70 years. S&S employs a professional staff of approximately 12 to 15 employees and with continued growth. Brick and mortar professional offices in Hollywood and Delray Beach. S&S an independent professional services organization, with a concentration of clients in the Southeast United States; also can service clients both internationally and throughout the continental United States. Norman Superstein retired after a long career as a Certified Public Accountant. With the current staff of 3, S&S moved from the Bay Harbor Office where we were located for 18 years to our new office building on Presidential Circle on Hollywood Blvd in Hollywood, Florida. 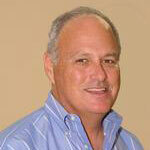 Rick Superstein CPA CGMA distinguished, rejoins the firm as a partner. With years of International experience, Real Estate Specialties, and Healthcare. S&S opened its second office in Delray Beach Florida, expanding services to Palm Beach County. Norman Superstein, CPA and Esther Superstein, CPA, distinguished, merged firms to create Superstein & Superstein, PA. Combining efforts to continue to provide renounced client service. Doing so, this created the first father/daughter-in-law CPA Firm in South Florida. Esther Superstein, CPA worked for PWC and later went into practice for herself. Bamberg and Superstein CPA Firm was created. One of the first CPA firms to be recognized in the State of Florida, beginning the tradition of excellent quality service. One of founders, Norman Superstein, CPA is a highly decorated war hero. Recipient of the French Foreign Legions Highest Honor. A distinguished career spanning over 70 years. A Rotarian and Toastmaster. Managing Partner of Superstein & Superstein, PA, Esther Superstein, Certified Public Accountant (CPA), Certified Global Management Accountant(CGMA), with a Masters of Science Degree in Taxation (MST). Esther is the Tax Partner responsible for the NO COMPROMISE WORK PRODUCT at Superstein CPA’s, Director of the Review and Quality Control Standards function to assure every client the best possible result. Esther works with Professional Staff to solve complex tax matters; providing simple easy to understand solutions that are defensible and enable tax saving strategies. Esther is a seasoned expert in IRS Representation, has excellent negotiation skills along with current comprehensive tax knowledge enabling her to settle difficult IRS audit issues. A best in class reputation for protecting client deductions and tax benefits to obtain the best result. Esther has settled many audits receiving a no change verdict. A reputation for integrity, feistiness and unyielding determination in the IRS Audit and Appeals Case Divisions. Esther will protect your rights as a taxpayer and fight for the best resolution while following the Internal Revenue Code. Dedicated to understanding clients financial transactions, personal circumstances and fact patterns related to clients businesses and personal finances; Esther will be proactive in analyzing client submissions to take advantage of allowable deductions and credits. Business Consulting – with comprehensive tax knowledge and over 30 years as a business women; Esther understands business and how knowledge and hard work along with out of the box thinking can contribute to business and personal success. Many of our clients have enriched the quality of their personal lives’, growth and prosperity of their businesses, using our firms consulting services. Esther consults using a no-nonsense realistic approach; assessing and identifying management and financial strategies to take your business to the next level. Esther is committed and she will take the time required to help clients achieve their goals. Esther’s high standards and work ethic will amaze you. A realistic assessment of a financial situation is required for effective change. Superstein CPA’s wants to be part of your success story. An Expert in the Tax Field; with specialties in Estate, Trust and Gift Planning and Preparation ( domestic and international), Homeowners and Condo Associations, taxation of Athletes and Celebrities, International Tax, Employee Stock Options, General Tax Credit and State and Local Taxation. And Tax Planning and Strategies for Investment Planning. Wage and Hour, Labor related issues and Payroll Liability including Independent Contractor issues are regularly directed by Esther Superstein. Prior to Superstein & Superstein, PA, Esther worked for a big four accounting firm and worked in the tax department preparing large corporate Income Tax Returns. A self-made entrepreneur with a passion for business. A motivational speaker who encourages clients to rise and take action. Outgoing and excited to make a positive difference in helping clients. Esther challenges the staff and raises the bar on the technical and quality level of the firms work product. Tireless in her conviction to make the firm a great choice for business owners and individuals. A true mentor. Under Esther’s direction the firm provides services to the following client groups: Physician Groups, real estate development, ownership and construction, retail, international businesses selling in the United States, manufacturing, wholesale and professional services in income and Estate Tax preparation. The firm services many high profile, high net worth individuals; Esther is committed to protecting your privacy and financial information. The firm does not outsource – all financial information is protected by our state of the art in house computer server with high security. The SUPER Team has actively participated in a wide range of charitable and service organizations including Rotary, Kiwanis, Homeless Shelters, YMCA and a charity providing shoes for the needy. Rick Superstein Certified Public Accountant (CPA), Certified Global Management Accountant (CGMA) is the Research and Technical Compliance and Audit Partner since 2009 of Superstein & Superstein, PA. Successful endeavors include Sales Management Positions in Import and Export, Property Management and Acquisition. Possesses business management and financial proficiency skills to consult business owners on the most direct and profitable path to successful business objectives. If you want to develop a clear path to economic independence and business success – Rick will be invaluable to the future success and growth of your enterprise. Rick consults and advises domestic and international individuals and businesses in all areas of tax compliance and planning. With planning specialties in Real Estate, Repairs and Maintenance, Real Estate Acquisition, Stock Options, DOI Income and International Taxation including Permanent Establishment and Organizational Structure. With many years of International Experience and a working knowledge of OCED Guideline and Tax Treaties between the United States and Foreign Countries. Rick efficiently assists clients in operating and reporting International transactions; developing business strategies to efficiently and profitability manage multinational organizations. Rick works with Tax Exempt and Non-Profit Entities navigate the Grant process and properly report the activities of the Not for Profit Organizations. In taxation managing the General Tax and Individual Tax Credit Reporting, to be certain clients take advantage of these invaluable resources. Health Care Expertise including ACHA Compliance and Cost Reporting for operational efficiency. With Esther at his side and the firm’s no compromise quality standard, the organization has matriculated to best in class, serving the Tri – County South Florida area : the firm is sized perfectly to offer very sophisticated current solutions to business and individual client requirements. 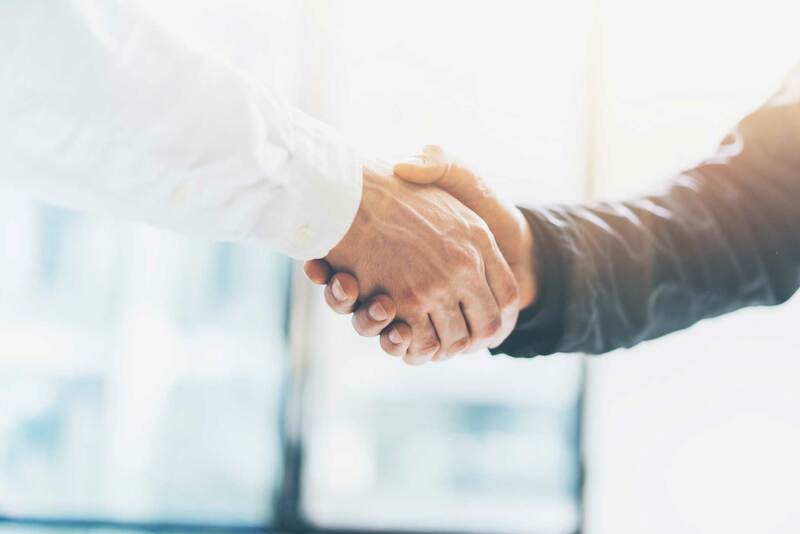 Superstein & Superstein, PA offers an environment where clients are not lost in the size of the organization, yet receive the highest quality of professional services. Our team of Certified Public Accountants are highly qualified and committed to assist in all of your financial and business needs. To learn more about our firm’s legacy, contact us today or visit one of our two offices located in Miami-Dade, Broward, and Palm Beach Counties.